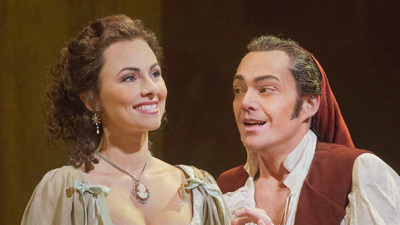 With a cast like this you can’t help falling in love all over again with The Barber of Seville. The marvelous Hermann Prey is Figaro, a guy you wouldn’t buy a used car from, but he’s great to have on your side considering he can charm anyone out of anything. 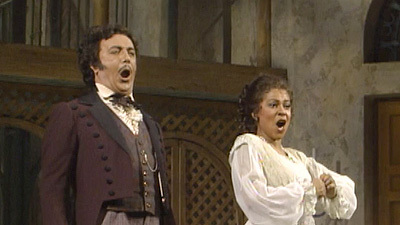 The sensational Marilyn Horne (Rosina) and Enrico Di Giuseppe (a love-struck Count Almaviva) immediately enlist him in their quest to foil Fernando Corena (Dr. Bartolo) so they can marry. With James Levine conducting, it’s all just sensational.